Each Album approx size is: 7" x 7.5". & will hold up to 100 x 6"x 4" photos. The front of the box has 2 silver hearts decorated with Diamantes and has the words "I DO" written through the middle. Each Album has a small photo window on the front cover and the words OUR WEDDING on the spine. Overall size of the box is 21cms x 18cms x 21cms. 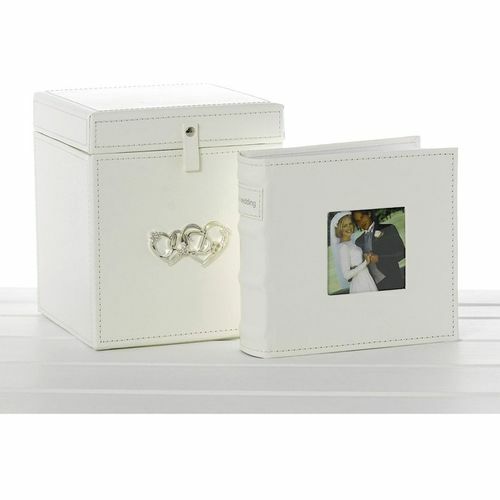 A beautiful keepsake gift to keep safe treasured memories.